“Ons moes baie diep delf vir die sege by die SAIPT senior toernooi op Katberg en ek is baie trots op wat elke spanlid van die Boland vermag het, sê die Bolandse senior kaptein Archie Steyn. One of Western Cape’s top golfers for many years, Gerald Williams, has captured the Boland Open Title a record 5 times. Roydon Pybus as well as Haydn Porteous both won the Boland Open in three consecutive years. Pybus from 1966 to 1968 and Porteous in 2011, 2012 and 2013. Dewald Botha (Stellenbosch) also won the Boland Open three times. Cedric Rooi van Worcester-klub het met ‘n uitstekende telling van 132 die Malmesbury Ope gewen. Rooi het ook laasjaar die toernooi gewen nadat hy vir Neswill Croy in 'n uitspeelstryd geklop het. Rooi het ronde-tellings van 68 en 64 gespeel – uitsonderlike goeie gholf! 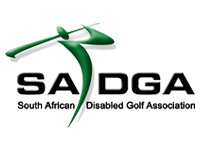 The following junior players have been selected by the Boland Golf Union to participate in the 2019 Triangular Tournament (against WP and Southern Cape) to be played at the Robertson Golf Estate from 10 to 12 May. Keagan shows his class by winning "The Double"
The 22-year old Keagan Thomas showed his class this week-end when he achieved the “double” by winning the Montagu Open on Saturday and then on Sunday he was victorious in the Bobby Locke Open at Robertson. He won the Montagu Open with a score of 135 (67 and 68) and the Bobby Locke Open with a score of 136 (66 and 70). These days Wet Wednesdays are as common as Wacky Wednesdays at Steers. I don’t know why and how it’s possible, and I wish I could explain it, but it rains every Wednesday. It’s not easy playing when it’s cold and wet, but this is something we should get used to over the winter period in the Cape. Luckily it is almost summer time again. But for now here are a few tips on how to handle tough conditions.